Throw knives at circular target and don't hurt the bear. Make sure calculate the rotation. Some games are funny but dangerous. 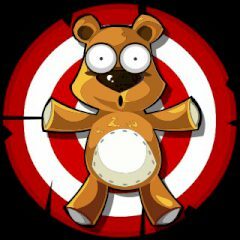 Here you must hit a certain amount of targets and avoid touching a bear. Just cut those fruits with your knives!